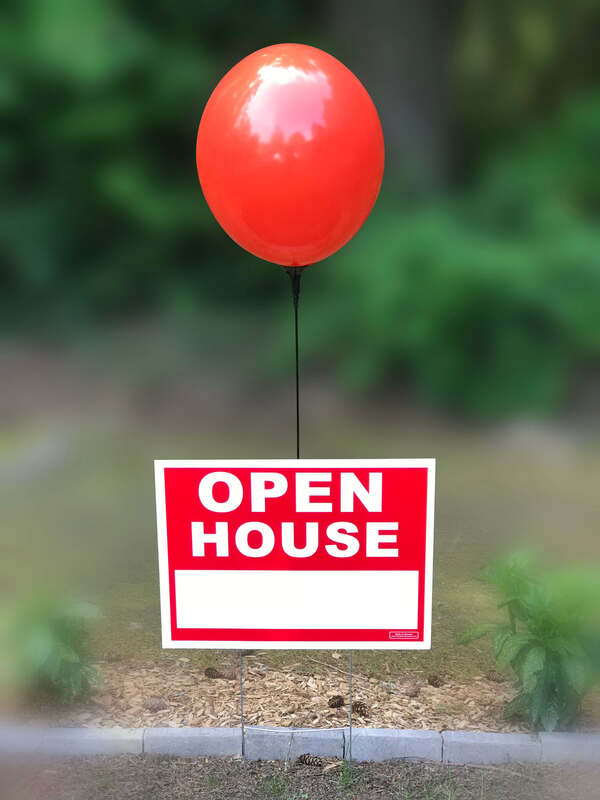 Mount your bright, bold balloons to your signs to attract more visitors with this open house balloon kit. This balloon kit provides you with everything you need to mount balloons quickly and easily. With this Open House Balloon Kit, you’ll be able to display bright and bold colored balloons in your car dealership the easy way. The kit includes a balloon pole, base, and adapter clip, as well as your first balloon (but you can always buy more from our store). Simply attach the mounting base to the wall or fence where you want to use it, and fix in the pole with a simple twist and lock. Then attach the beach-ball style inflatable balloon in seconds. The reusable balloon is inflated with air not helium, and its large size and bold color will help to attract more people to your dealership. Balloons stand out and get your business noticed to bring in more customers, so put them up the easy way. In addition to our Open House Balloon Kit, we have many more balloon products to choose from, including our Balloon Replacement Packs, Balloon Holder Kit, Reusable Cluster Kit, Quick Flow Deluxe Balloon Inflator, and Reusable Balloon Single Kit. See them all at our store! We make a big effort to make sure you get your purchase as soon as possible, so you can expect it to arrive in between 1 and 5 days after making your order.